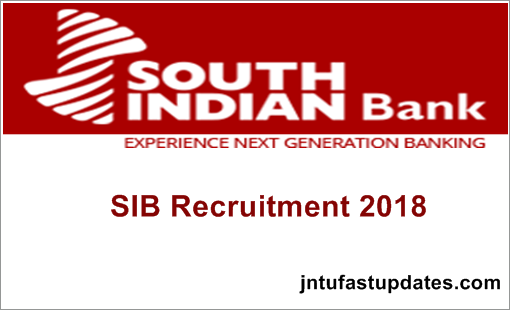 South Indian Bank Recruitment 2018: South Indian Bank invites the Online Application for 100 Probationary Officers Posts. A Premier Commercial Bank in India invites applications from Indian Nationals for Recruitment of Probationary Officers In Scale-I Cadre on successful completion of Post Graduate Diploma in Banking & Finance (PGDBF) Course. Candidate should be born not earlier than 01.01.1993 and not later than 31.12.1998 (both days inclusive). Eligible for Performance Linked Incentive applicable to Scale I officers. The job role/ profile include branch banking, credit, business development, marketing, forex, treasury , central processing centres etc. Note: Candidates meeting the stipulated norms only need to apply for the post. Application fee once remitted will not be refunded in any case.